There is no fast track! As we hit February, that relaxed holiday feel has all too quickly been replaced by the weekly schedule, to do lists and lots of highlighted ‘don’t forget’ notes! It has taken me a long time to understand that being an artist takes a lifetime of practice. There is no fast track. You just have to do the work. 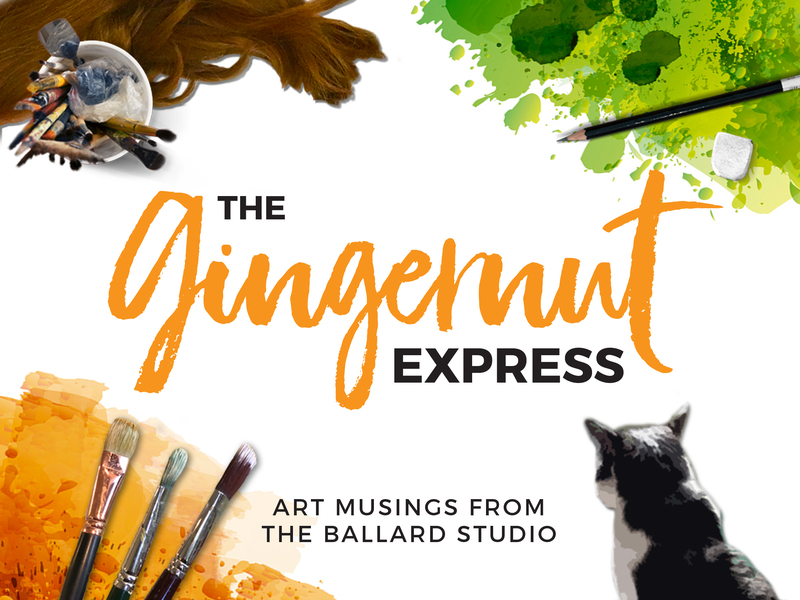 Often it is not a whimsical flurry of inspired brush strokes and ideas. Long after that blank canvas, full of possibility has been covered, there are just many, many hours of work, redoing, scraping off, painting over. All with that constant voice in your head, usually reminding you that you don’t really know what your doing, and that you really should do something that makes money! I think that’s why a lot of us have music on playing in the background of our studio spaces….to drown out that negative voice in our heads! I regularly bang on to my students that being an artist is a solo sport. You really have to do your warm ups, plan your tactics and define what you are trying to achieve in order to feel any sense of progression. Having intention in your work is vital. 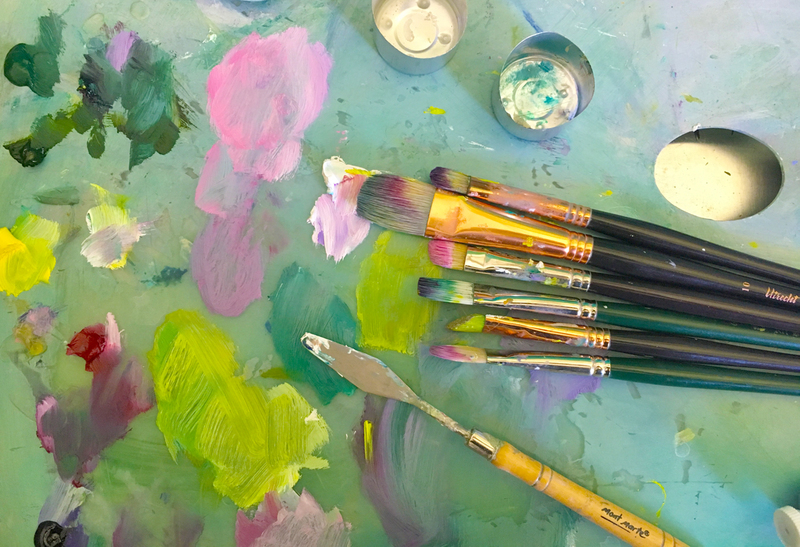 If you don’t have it, you can easily be distracted by self doubt and the ‘grass is greener’ factor, especially if you are working on an artwork that just doesn’t want to play. Of course, I am guilty of all of the above. 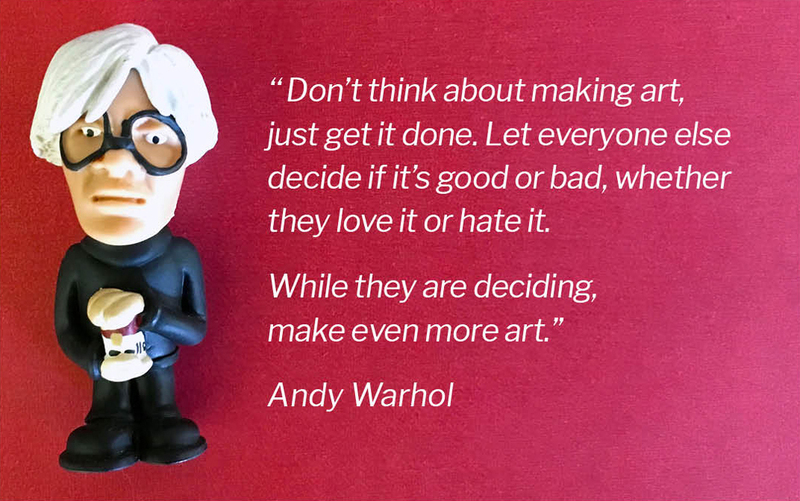 I think that’s why we artists have to constantly work at it. For myself, I know that whilst having a break from painting can at times be a relief, more often than not it is a hinderance. You forget what your intention is and you feel like you are back at the beginning. One way I get around the self criticism is to surround myself with those artists I admire. Especially those ones that were so good at focusing on their intentions, no matter what. No matter how many people hated their work, said they didn’t know what they were doing, or rejected the fruits of their labour. I don’t come from a family of famous artists, so hanging out on a couch in the Heide Library in Melbourne or sipping a wine with Picasso at the Four Cats in Barcelona is not on my option list. I can however fill my bookcase with the lives of artists who worked their whole lives striving to make something new and bring new perspectives to the world. I can always rely on them to remind me to keep at it. I also have a few artworks on the wall that I love. I don’t love them because they match the couch. I love them because they all remind me, in different ways, to keep looking, to keep searching for new ways to help me articulate the intentions of my work. A recent gift I received at Christmas from my husband was a beautiful original artwork by Jocelyn Maughan. In my world she is a living legend in grit: passion and persistence. 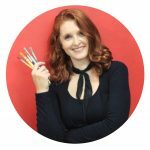 She believes that traditional skills, drawing, tone etc is the only path to producing truly creative and unique visions. She is a reminder to me too, that it is not what you paint, but how you see it, how you paint it… how you interpret it, that matters. That is why this artwork of broken shells is so important to me. It is loaded with effort, attitude and confidence that only shows when you have done a lifetime of practice. And it is a precious reminder, if you think you have nothing to paint! Eggshells ready for the trash can, transformed into an artwork of light, colour and reflection! My original Jocelyn Maughan, her fabulous books and one of my students, Lillian, doing an awesome job of tone. Now… stop talking and just do it! So once you’ve had a chat with your mentors, topped up the coffee cup and loaded the playlist there is no other way to get better at anything than just doing it. Make lots and lots of art. I put it down to a statistic….. the more you do the better you get. Practice, practice, practice…..and in that the more you make, the more ‘good and bad’ work will come out of it. There is no magic goose, no quick fix. 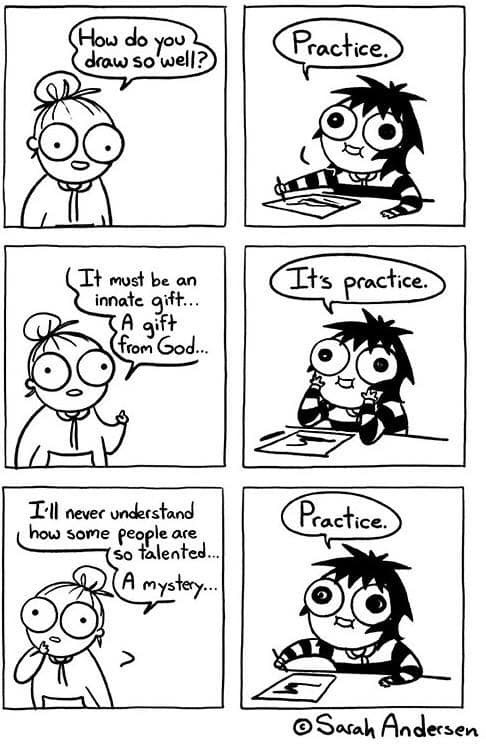 Here’s a fabulous cartoon I found that a friend posted up….it’s what I try and explain to my students, but Sarah Anderson illustrates it much more succinctly ! 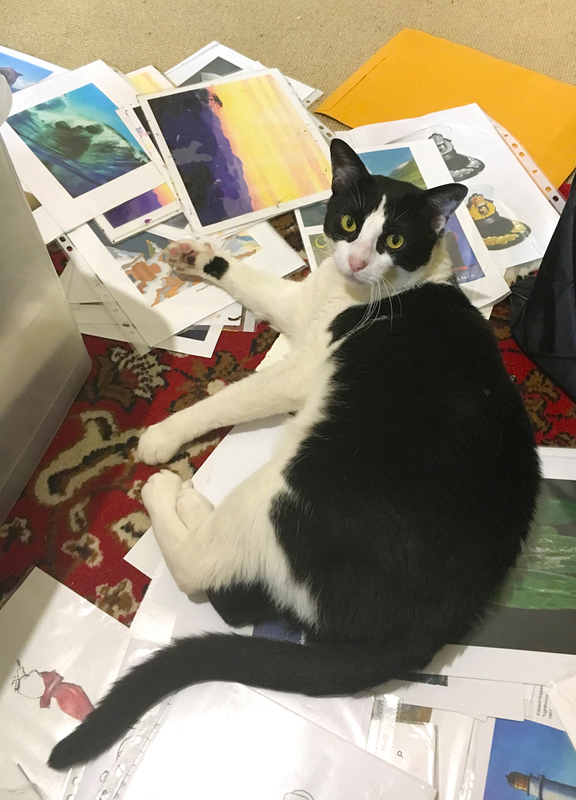 Whilst prepping for my tuition classes this is how my in-house art critic, Sketch, the cat, decides to help! 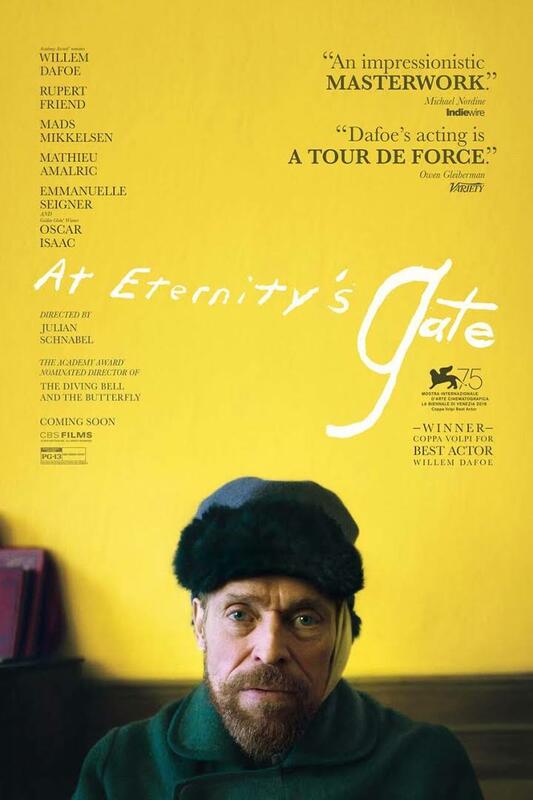 The latest movie on Van Gogh ‘At Eternity’s Gate showing everywhere from the 16th February. Love to know what you thought? Me? Beautifully shot and colourised but missed showing us the magic of what Vincent saw. Not enough stuff on his influences and admirations.